If you're like me, when there are dishes to be done, or garbage cans waiting to be emptied, it means only one thing: time to sit down at the computer for a nice long session of Google Earth. This evening I put together a little geography quiz for faithful readers. Can you identify the location or significance of the following Civl War scenes? Name the battle? Identify a few landmarks? Judge the season and time of day based on tree shadows? Click on the images to get a larger view. A number of them are fairly easy, I think, due to road configurations (and in fact, I forgot to turn off the road names on at least one photo) or distinct features. On a couple photos, I placed push-pins to set-off the the tell-tale extant Civil War clues (a building, or monument) amidst a sea of residential and commercial development. All of the images were the scenes of bloody battles, or at least well-known peripheral fights associated with major campaigns (nothing too obscure). Four of them are from the Western Theater, four are from the East. One is in the Trans-Mississippi. In all of the photos, there is some famous battlefield feature in the center of the image, or nearly the center, though you may find something along the edges to help solidify your hunch—the more features you identify, the more impressive your answer will be. Post your answers as comments to this blog entry, and in a day or two I'll identify each image, and post some maps and other photos to show how the fighting transpired, or how the troops were aligned in these landscapes. I'll also heap plaudits upon the winner, if there is one. Don't cheat by looking up the coordinates before posting your guesses or answers (use them to check your work, if you're dying to know). I did not notice they were listed until after the fact, and it's way too much trouble to go back and edit those out, then upload again. As the quiz evolves from this trial run, I'll edit out those clues. If you do not have a broadband connection to view this page, please accept my apologies, and also my invitation to join the rest of us in the 21st century. to read all the things that pique one's interest, the editors of The Atlantic.com have opened the flood gates on a treasure trove of reading material from the magazine's archives. This is very exciting, and will cause me no end of trouble (thanks to friend Luke for tipping me off). From the Editor's Note on January 22: "Beginning today, TheAtlantic.com is dropping its subscriber registration requirement and making the site free to all visitors. Now, in addition to such offerings as blogs, author dispatches, slideshows, interviews, and videos, readers can also browse issues going back to 1995, along with hundreds of articles dating as far back as 1857, the year The Atlantic was founded. I love all the book reviews, and more access to the annual fiction issue. Check out the 2007 fiction issue here. 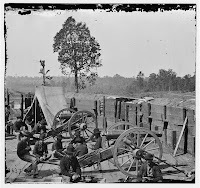 Civil War buffs, of course, can mine the archives for snippets going back to the war itself. Look at this "flashback" from February of 1862. And here's a page that contains links to several poems published during or soon after the Civil War years by such authors as Emerson, Whittier, and Longfellow. I found this provocative essay/review by Christopher Hitchens on John Brown, "The Man Who Ended Slavery." "It was not at all the tear-jerking sentiment of Uncle Tom's Cabin that catalyzed the War Between the States. It was, rather, the blood-spilling intransigence of John Brown, field-tested on the pitiless Kansas prairies and later deployed at Harpers Ferry. And John Brown was a man whom Lincoln assiduously disowned, until the time came when he himself was compelled to adopt the policy of 'war to the knife, and the knife to the hilt,' as partisans of the slaveocracy had hitherto been too proud of saying." Here is a fascinating piece on "Our Liberian Legacy," a subject that always gives me pause: "This is only the latest development in what has been a troubled and bloody history, and one in which the United States has been inextricably involved. Though Liberia was never a colony in the European sense of the word, it was settled by freed American slaves at the instigation of American slaveholders, and there has long been significant debate about what level of U.S. involvement in Liberian affairs is appropriate. What, indeed, is the United States' legacy in Liberia? And what, if anything, do Americans now owe Liberians? These questions are not new. Atlantic contributors have struggled with America's obligation to Liberia for three quarters of a century." three white men and 150 negroes were slain. carpetbag misrule in the South. The author writes, "now, I'd studied the Civil War and Reconstruction quite extensively, and I'd never even heard of the Colfax Riot. Neither had the half dozen history professors and the dozen Louisianans from New Orleans, Baton Rouge, and Alexandria I'd asked about it since I'd first read that marker." There's a lot to read. Better get cracking. I’m guessing 17 days was long enough for regular visitors to grok my last entry, the cartoon I posted in the first week of this month? I’m back in the saddle now, and bursting at the seams with fresh, 2008ish content for the blog. Thanks for your patience. The year is off to a fine and proper start. Last Thursday my 13-year-old son and I took the train to San Francisco for the annual pilgrimage to MacWorld Expo. I was pleased to discover a souped up Notepad utility that may help mitigate a little problem I have with making lists—to-do lists, book lists, bills to pay, letters to write. I make lots of lists, until I end of with thick wads of them in various pockets, and digital ones scattered across multiple computers. I know I could just consolidate my lists in any old word processor, but I will buy a specific software application for every little quirk and habit if it promises a new, transcendent level of organization. And if it’s OSX native. 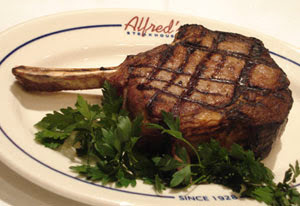 After a day with the Cult of Mac acolytes, we hiked over near Portsmouth Square for some lumberjack-sized medium rare cuts at Alfred’s Steakhouse. Nothing tops off a day of uber geekdom like a tender filet mignon and a martini. Sure, we revel in our elegant technology, and the trappings of civilization, but we will jettison it all at sundown to eat a juicy cow, if it's cooked right. At that time (July, 1847), what is now called San Francisco was called Yerba Buena. A naval officer, Lieutenant Washington A. Bartlett, its first alcalde, had caused it to be surveyed and laid out into blocks and lots, which were being sold at sixteen dollars a lot of fifty varas square; the understanding being that no single person could purchase of the alcalde more than one in-lot of fifty varas, and one out-lot of a hundred varas. Folsom, however, had got his clerks, orderlies, etc., to buy lots, and they, for a small consideration, conveyed them to him, so that he was nominally the owner of a good many lots. Lieutenant Halleck had bought one of each kind, and so had Warner. Many naval officers had also invested, and Captain Folsom advised me to buy some, but I felt actually insulted that he should think me such a fool as to pay money for property in such a horrid place as Yerba Buena, especially ridiculing his quarter of the city, then called Happy Valley. At that day Montgomery Street was, as now, the business street, extending from Jackson to Sacramento, the water of the bay leaving barely room for a few houses on its east side, and the public warehouses were on a sandy beach about where the Bank of California now stands, viz., near the intersection of Sansome and California, Streets. Along Montgomery Street were the stores of Howard & Mellus, Frank Ward, Sherman & Ruckel, Ross & Co., and it may be one or two others. Around the Plaza were a few houses, among them the City Hotel and the Custom-House, single-story adobes with tiled roofs, and they were by far the most substantial and best houses in the place. The population was estimated at about four hundred, of whom Kanakas (natives of the Sandwich Islands) formed the bulk. As Homer Simpson would say, "Mmmm, sandwich islands." One wonders what culinary specialties these majority Hawaiians had established by the time of Sherman's visit. Note that Sherman’s scoffing refusal to invest in San Francisco real estate came one year before the discovery of gold on the American River. "Old Brains" Halleck got in on the action—I wonder if there's a record of when he sold his piece. Sherman's caution was fully justified, no doubt. Still, it's fair to say he had a higher aptitude for real estate seizure and destruction than for real estate speculation (whatever you think of his tactical shortcomings). Speaking of Seizure and Destruction, I couldn’t be more excited by the upcoming (12th) Civil War Forum Battlefield Conference, March 27-30, as we tackle Sherman’s Campaign for Atlanta (4-day abbreviated version). There are approximately 8-10 seats left on the bus, open to anyone interested. When those are full we’ll cut off registration, because anything more than a busload of 50 people gets unwieldy. The program is coming together nicely, and I’ll announce our headquarters hotel this week (in Marietta). If interested, send me an email at civilwarforum@mac.com, or post a message here and I’ll give you registration information. Or you can go to the Civil War Forum start page and click on the photo of Sherman on his horse for more details. We’ll take in Resaca to Kennesaw on the first day (concentrating most on Pickett’s Mill and Kennesaw), and take in some Peachtree Creek and Battle for Atlanta sites on the second full day of tours. We’ll also get a private presentation by Gordon Jones at the Atlanta History Center of the most important and impressive Civil War collections outside of the Museum of the Confederacy. Additionally, we’ll work in sidetrips to some of Francis Shoup’s few remaining Shoupades on Johnston’s Chattahoochee River Line, and visits to “The General” at Big Shanty, and the Atlanta Cyclorama. I have enlisted three after dinner speakers (Thurs., Fri., Sat. ): Dr. Steven Woodworth of TCU, Dr. John Fowler of Kennesaw State, and Atlanta historian Steve Davis. All of that—3 dinner talks, 2 full days of touring (lunch included), and two half-days of touring runs $250 a person. It’s cheap because we aim to get as close to break-even as possible, with anything left over donated to The Civil War Trust, or a local group. Every year about 2/3rds of the attendees are people who have attended all or several of the 12 meetings, and the rest are first-timers and veterans of the last few outings. We come from all over the country, and some from other countries (Canada and the U.K. regularly represented). Besides this notice, I’ll make an announcement in some other online venues until the bus fills up. Alert and faithful readers of this blog will have the first shot at those 8 seats. And not merely racist incitement. So slack is our grasp of history and principle that we seem unable to think of the Confederacy as other than "offensive" to blacks. But there are two Republican candidates in this election—the absurd and sinister Ron Paul being the other—who choose this crucial moment in our time to exalt those who attempted to destroy the Union by force, and those who solicited the help of foreign powers in order to do so, and whose treason led to the violent deaths of hundreds of thousands of Americans. Should their patriotism be questioned? I would say most definitely yes, and questioned repeatedly, at that, perhaps especially if they are seeking the nomination of the party of Lincoln. Hitchens’s Slate.com essay, in turn, generated the kind of responses that are usually restricted to Civil War discussion groups and publications. As one would expect, these discussions quickly devolved into angry flame wars. Check out Moira Redmond’s “Fraywatch,” a column that monitors the goings-on in various Slate.com discussion areas. There were two key, tightly-connected, questions: is that flag racist? Readers went for it here. And, was the Civil War was actually about slavery or not? Battle lines drawn here. Nobody seemed to change anyone else's mind, and it wasn't all that civil. Richmond says "We're beyond the point of asking 'What would Gen. Lee do?' partly because we know the answer ('Surrender and tell the troops to go home.') and partly because he's dead." Most of my life, when people ask me where I’m from, I have always said Iowa, because that’s where I spent my formative years, sixth grade through high school graduation, and because it is the state where my parents grew up. At this point, usually, the inquisitive person will say something about potatoes, to which all Iowans reflexively (and politely) say, no, I think that's Idaho. If someone were to ask “where” in Iowa, I would say a small town in Western Iowa, over toward Omaha. 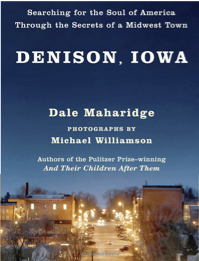 If they persisted, or if it was clear they knew the geography, I would tell them I come from Denison. They painted “It’s a Wonderful Life” on the water tower sometime after I left town. Not because I left town, but to honor a favorite daughter. 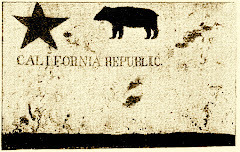 I still feel a strong connection to the state, though after nearly 25 years in the Wild West (the west coast of Iowa), nearly all of the rest of the country feels foreign to me. My family occupied a number of abodes in the center of the country. My oldest siblings, my two sisters, were born in Iowa, then my father took a job with Arthur Anderson in Texas, where all three of my brothers and I were born, one in Corpus Christi and the rest of us in Houston. In the early 60's we moved (children of an itinerant CPA) to New Orleans, Joplin, Missouri, and Schuyler, Nebraska before alighting in the Hawkeye State, where I feel fortunate to have received a quality public education. I didn’t start kindergarten and grade school till we were in Missouri, then had some more grade school in Nebraska, and I honestly cannot remember studying the Civil War at any level of school prior to college. I’m sure we must have read about it (it's not as if I can remember studying other things either). There must have been something about freeing the slaves. On my own, however, I recall at some point in high school reading my first Bruce Catton book. That was inspired by a trip to Gettysburg during junior high (the sort of visit so many people point to as the starting point of a life-long interest). We toured Gettysburg on our first family trip to the East Coast where my sister -- who lived near Hagerstown and was stationed at Fort Ritchie – was getting married. Now all these years later my oldest son, an 8th-grader, is preparing for a class trip to Washington, which will include a sidetrip to Gettysburg. When I started this little blog entry – fast becoming a sentimental autobiography – I meant only to highlight the fact that I “belong” to two places in the middle of the country: Iowa, where I have roots, and where I spent seven important years, and Arkansas, where my parents moved soon after I left for college in Indiana. They lived in a lovely spot in the north-central part of the state, on Greers Ferry Lake, and are buried there. Two of my brothers live in the area, and one of my sisters is not far off in Memphis. All of that means that every time I've gone “home” since the late 70s, it was to The Natural State. I am from the North and the South, but view them both as an outsider would, blowing in from the west. 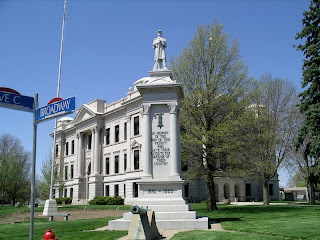 I am sort of ashamed to say that, in my seven years in Denison, I never noticed (or can't remember noticing) the Civil War monument on the courthouse lawn [I stole this picture from my friend Mark Knowles’ web site – I’ll try to remember to ask for permission later]. Must have driven by it a thousand times. That gives you a good idea of the extent of my, and my friends’ Civil War consciousness in small town Iowa of the 1970s. 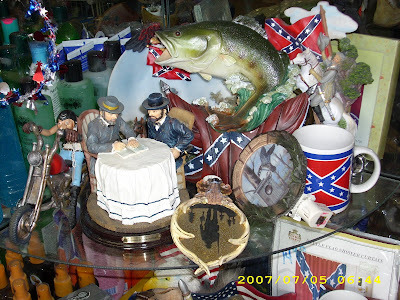 I've no idea what they teach about the Civil War in the schools of Arkansas, but I do know what they sell at the local five & dime-type market. As I mentioned in some posts last summer, I spent a week down there in July. Who knows what kinds of non-Donna Reed souvenirs they sell in the shops of Denison these days, but such is the enduring legacy of the Civil War in parts of the South that even in tiny Greers Ferry, population 930 as of the last census, you can find, along with extra batteries, sun screen, and flotation devices, a collectible ceramic depiction of the surrender ceremony at Appomattox Court House (signing what appears to be a surrender novel), and battleflag shower curtains (below). It's been said before, here and elsewhere, that a lot of this overt sectional "nationalism" seems to be a fairly recent phenomenon, perhaps in reaction to the anti-flag publicity of recent decades. I never saw so many battleflags in the 80s or 90s as I did on this last trip. On the other hand, I never saw an Appomattox souvenir down there either, with its message of peace and reconciliation. That last one must be for the tourists and the transplants, as the Ozarks slowly become the retirement capital of the upper Midwest. More on my Arkansas trip, and my newly kindled interest in Jo Shelby, in the next blog entry.